The Three Lions test their knowledge of Tunisia, fans share their predictions and mosquitoes take over Volgograd in episode seven of Project Russia. 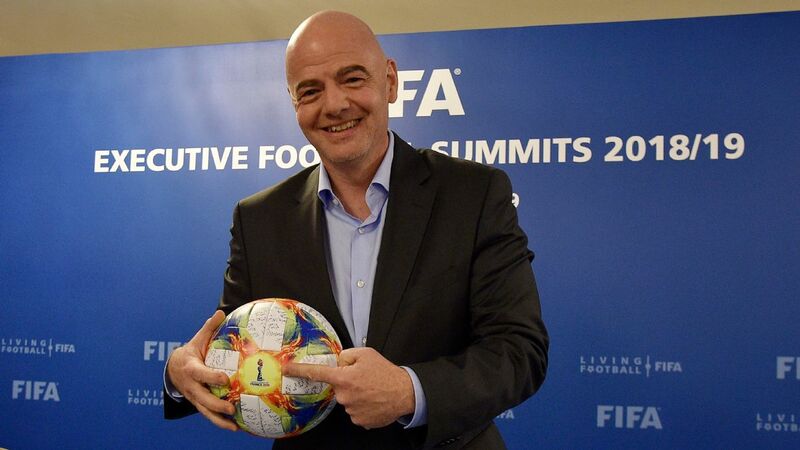 For countries around the world, getting to the World Cup is half the battle. The same is true for their players. Even before ever suiting up for a match, being named to a 23-man World Cup roster is a remarkable accomplishment and a sign that you've arrived. For young players, it's also a great indicator of stardom to come. Take Ronaldo, for example. While Brazil was winning the World Cup in America during the summer of 1994, a 17-year-old Ronaldo was sitting on scorching-hot benches around the U.S. behind Bebeto and Romario. As he was still based in Brazil at Cruzeiro in a pre-internet world, the inexperienced striker was still mostly a mystery and didn't see a minute during the tournament. 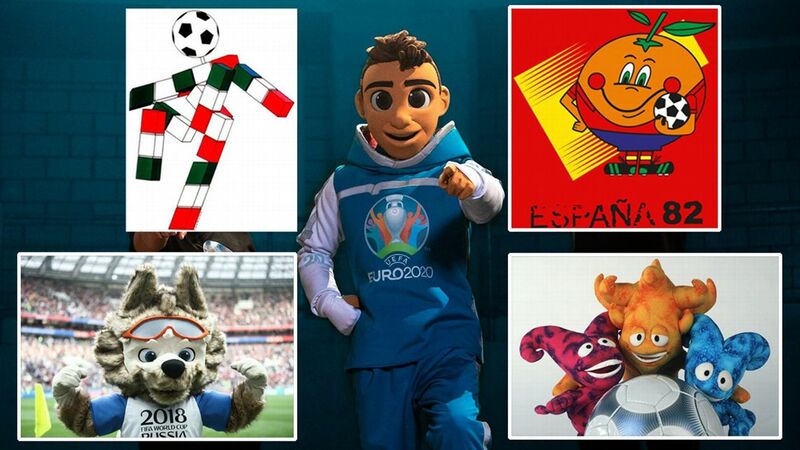 "Ronaldo-mania" launched almost immediately after that summer. He signed for PSV shortly after the tournament and scored 35 goals in 36 games before moving to Barcelona, where Ronaldo won the European Golden Boot. A 22-year-old Ronaldo was one of the focal points of the next World Cup, and his lethargic performance in the Final after a seizure sunk Brazil's chances in France. Not every player lurking near the bottom of a World Cup roster turns into Ronaldo, of course, but if you're looking for players who are likely to develop into stars in the years to come, you can do far worse than finding the youngest players at any World Cup. It gets even better if you account for the quality of team, given that lesser sides are more likely to hand a spot to younger, more inexperienced players. Ronaldo breaking into the Brazil team at 17 meant a lot more than if he had broken into the Ireland or Saudi Arabia teams at the same time. In 2014, I used the standard score methodology to adjust every player's age for the average age of their teammates and identify the contributors whose arrival at the World Cup was unlikeliest. It's a group that included future stars like Dejan Stankovic, Christian Eriksen, Kaka and Luka Modric before they had left their domestic leagues. Four years later, the 20 side-adjusted youngest players have unsurprisingly gone in different directions. Players like Julian Green, Adnan Januzaj and Divock Origi have failed to live up to expectations. 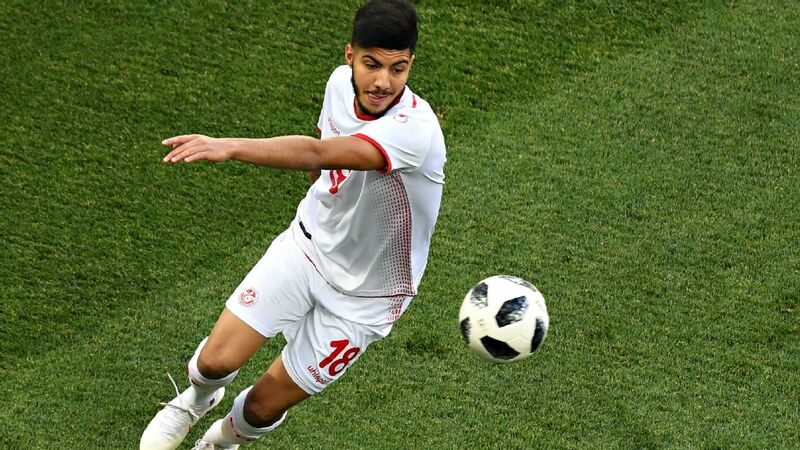 Others, like Alireza Jahanbakhsh and William Carvalho, have grown into budding superstars without yet moving into one of the bigger European leagues. Already notable players like Koke and Neymar will be making return visits to the World Cup this time around. Naturally, now that the World Cup is underway, we can perform the same analysis for the teams of 2018. This list is in order of team-adjusted age and not quality; Kylian Mbappe comes behind Abdullah Al-Khaibari on this list solely because of their ages, and while Mbappe is obviously more likely to make an impact in the weeks and years to come, we're actually trying to find players whose presence on rosters and in Russia might not be as obvious as those listed in the million other pieces on young contributors you've read over the past few weeks. Let's run through the 25 youngest team-adjusted players at this World Cup, starting with a Spanish right-back who wasn't on anybody's radar two years ago. Odriozola's rise from Sociedad's reserve team to the Spanish national team has been meteoric. The 22-year-old only made his first-team debut for the Txuri-urdines in January 2017, but by the time February rolled around, the academy graduate had firmly entrenched himself as the first-choice right-back for then-manager Eusebio Sacristan. 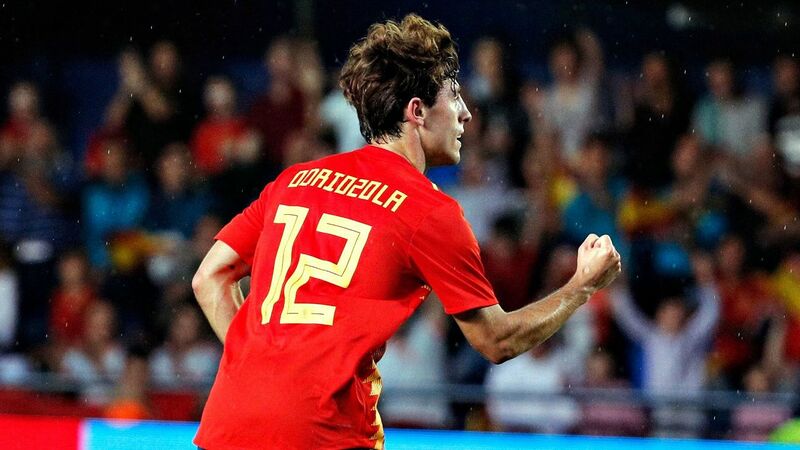 After 21 appearances in La Liga (and three caps for the Spanish U-21 team), Odriozola started for the full national team in a 3-0 qualifying victory over Albania. First-choice right-back Dani Carvajal missed that match with a viral infection, and while he remains the likely starter for Spain this summer, the Madrid star did leave the Champions League final in tears with a hamstring injury. Carvajal was fit enough to make the 23-man roster for Russia, but if he can't remain healthy, Odriozola may be thrust into a huge role on the biggest stage. Amid reports of a possible €40 million move to Madrid, Russia might not be the only place Odriozola takes over for Carvajal. Signed in August with a likely view to eventually replacing Virgil Van Dijk, Bednarek was forced to watch most of a difficult Saints season from the bench. The £6 million signing made just two Cup appearances before being forced into the starting lineup after Jack Stephens was suspended. 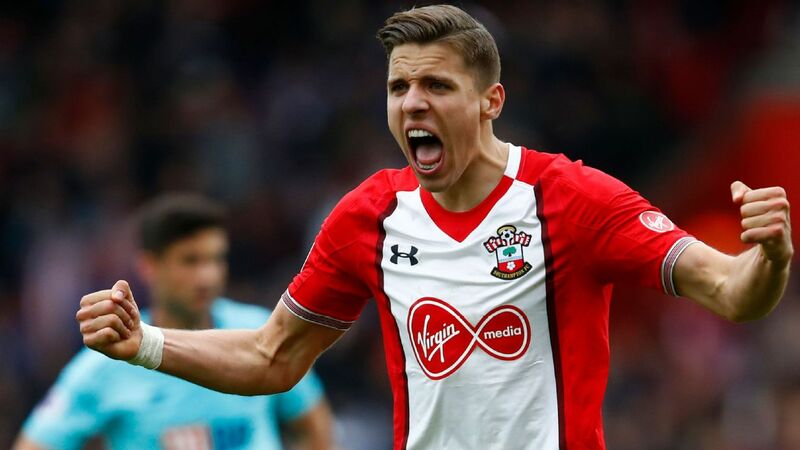 Bednarek contributed a goal against Chelsea on his Premier League debut and ended up starting five matches under new manager Mark Hughes, helping to win eight points as Southampton miraculously stayed up. With Bednarek's international experience limited to one substitute appearance for several minutes against Kazakhstan, it looked like the 22-year-old was likely to spend his time in Russia on the sidelines. That changed when Monaco defender Kamil Glik injured his shoulder attempting an overhead kick in training on June 4. Glik has recovered enough to keep his place in the 23, and Stuttgart defender Marcin Kaminski is likely to have the first chance at replacing Glik. But Bednarek impressed in a 2-2 draw with Chile before the tournament. He might yet find his way into the lineup. 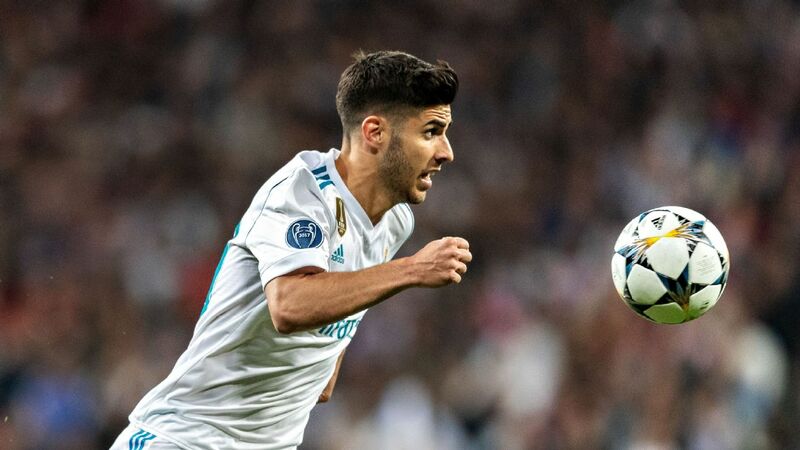 Although the rumors that Madrid have rejected a pair of £131 million offers for their burgeoning star are likely absurd, Asensio's role with Madrid is likely to grow if Cristiano Ronaldo and/or Gareth Bale leave the club. The Mallorca product had begun the World Cup behind Isco and David Silva, but his versatility and ability to impact games as a substitute made him a must for the Spanish team. Technically still a Monaco player in advance of a permanent move to Paris St. Germain, Mbappe contributed 17 goals and 11 assists to the PSG attack during their dominant Ligue 1 campaign and less-successful run in the Champions League. He requires no introduction, but if it's a surprise that he isn't higher on this list, you can blame Mbappe's teammates. Didier Deschamps is taking eight players aged 23 or younger to Russia. 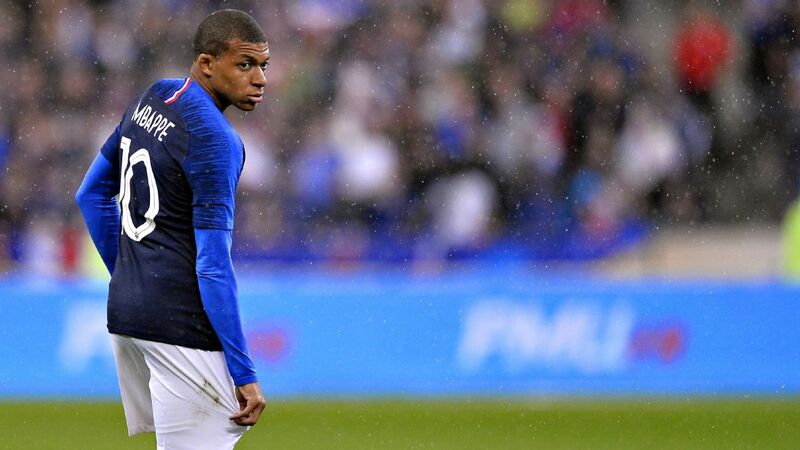 The average age of France's players is just 26.0 years old, making them the second-youngest team in the tournament behind Nigeria. Linked with Arsenal and Leicester City before the tournament, Srarfi has only yet started 10 games in Ligue 1 for Nice, with just two of those appearances lasting the full 90. Fourteen of Srarfi's appearances in the league this season lasted 15 minutes or less, which is most likely his role at this tournament. An injury-time winner like the one he scored against Toulouse this season might make him a national hero. No outfield player at this World Cup was on the pitch for more minutes this season than Caleta-Car, who racked up 5,117 minutes as Salzburg won the Austrian Bundesliga and made an impressive trek to the semifinals of the Europa League. 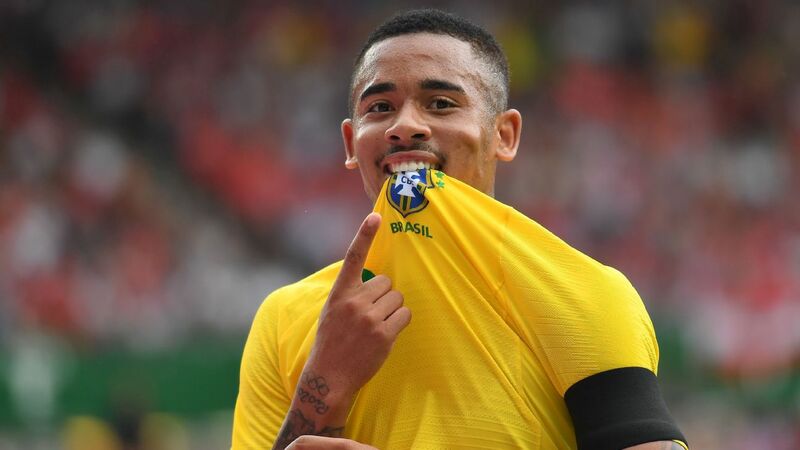 The 21-year-old made his international debut in the recent 3-0 loss to Brazil, so while he isn't likely to feature much in Russia, Caleta-Car is probably on his way to a bigger club over the summer. 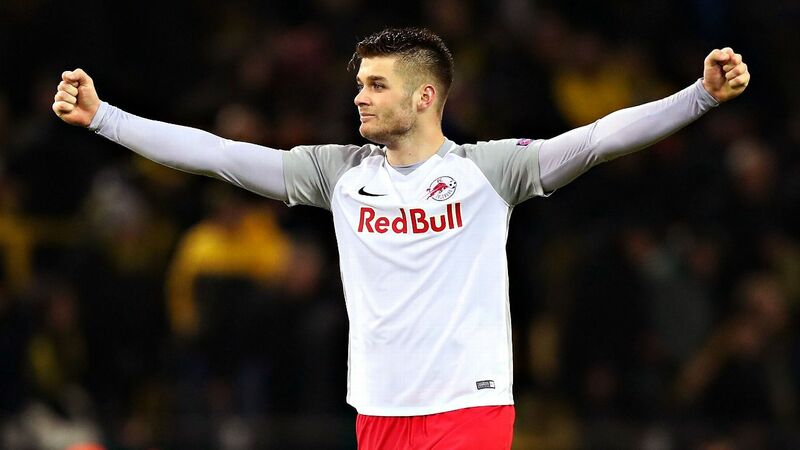 Could he be the next Salzburg player to move up the Red Bull ranks to Leipzig? Nigeria's hopes in Russia may rest on a former forward with all of 30 career games to his name. The 6-foot-5 Uzoho is the rare player with more international caps than appearances in the top division, as the Aspire Academy graduate made two starts for Deportivo in October before spending the rest of the season behind Ruben Martinez. 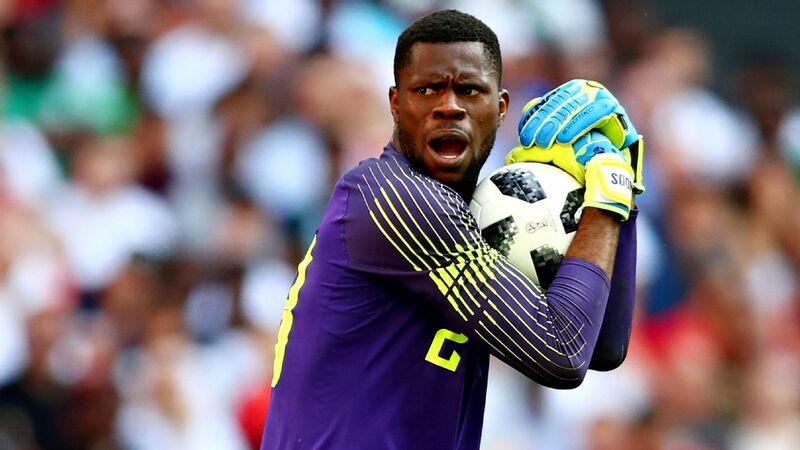 With Vincent Enyeama retired from international football and buried on Lille's reserves and Wolves' Carl Ikeme battling leukemia, an opportunity opened up for Uzoho. With the domestic league failing to produce competitive keepers, Nigeria's turning to one of the least-experienced players in the tournament to fill a critical role. Uzoho technically won't be the least-experienced number-one in this World Cup, given that England will be starting Jordan Pickford after just three caps, but the 24-year-old Pickford has 185 senior appearances to his name. Few players will be under more pressure in Russia than Uzoho. The early returns are inconclusive, as Uzoho didn't make a single save in the 2-0 opening loss to Croatia, who scored via an own goal and a Luka Modric penalty. Genes aren't everything, but when you serve as the fourth consecutive generation of your family to play for the Icelandic national team, it's easy to understand why expectations are high for Gudmundsson. 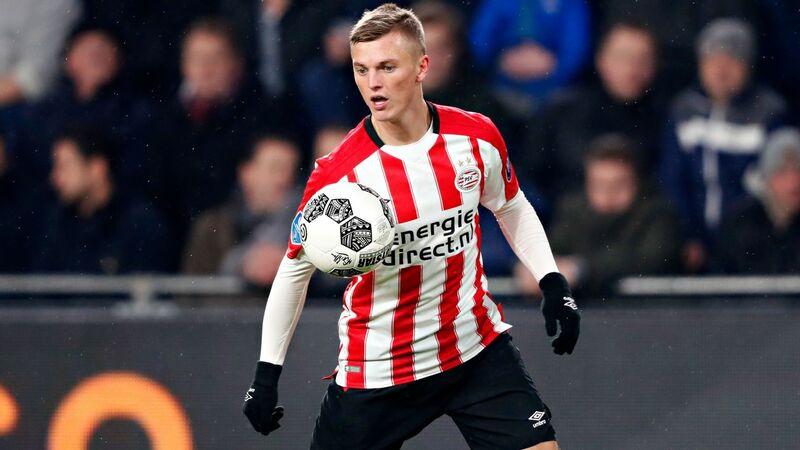 The 20-year-old earned his way onto the team by scoring a hat-trick in a January friendly victory over Indonesia, and while he's spent most of his time playing for PSV's reserve team in the Dutch second division, Gudmundsson contributed two assists in 176 minutes for PSV's first-team this season. He won't be more than a last-ditch attacking threat in Russia, but the former Arsenal and Liverpool trialist has a bright future. 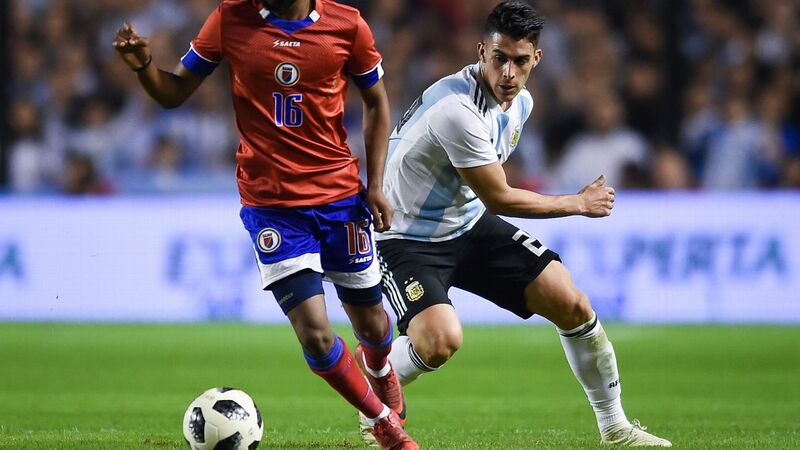 One of the most anonymous players at this year's World Cup, the 19-year-old Rodriguez was signed away from Chorrillo in the Panamanian top flight by Gent, where he has yet to make his first-team debut. 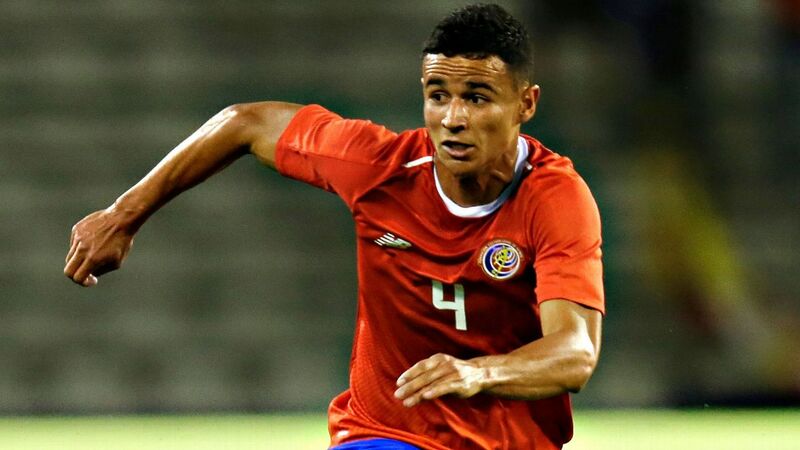 Rodriguez tore a knee ligament in January 2017 while training with the Panama U-20 team but flashed enough in 106 minutes of friendlies against Northern Ireland and Norway to earn a spot on Panama's inaugural World Cup squad. He was a surprise starter in the opening match against Belgium but did little before being substituted after 63 minutes. Four years ago, Sanchez was an 18-year-old converted central midfielder with a handful of appearances for Atletico Nacional in the Colombian top flight. His breakthrough really didn't come until 2016, when Sanchez played for the Colombian Olympic team and excelled in the Copa Libertadores. In the past two years, he's made it to the Europa League final with Ajax and earned a £36 million move to Spurs, where he played well enough to help push fellow Ajax product Toby Alderweireld out the door this summer. Not bad for a player who will only turn 22 two days before the competition begins. Speaking of the Tottenham-to-Ajax pipeline, rumors suggest that Spurs may be targeting Dolberg to give star striker Harry Kane some help. It might represent an opportunity to buy low after a difficult, injury-hit season for the Danish striker. In 2016-17, Dolberg scored 23 goals in 45 appearances as Ajax finished second in the Eredivisie and runners-up in the Europa League, but a tear in Dolberg's foot cost him four months and limited him to just one start after the New Year. Competition up front limited Dolberg to just 50 minutes during this qualifying cycle, so he's likely to serve as a high-impact reserve in Russia. 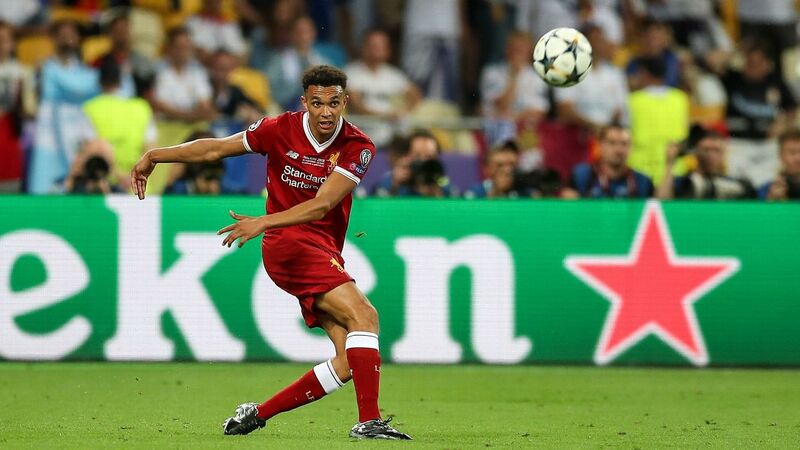 The local boy done good, Alexander-Arnold emerged during the second half of the 2017-18 season as a mainstay at right-back for Liverpool during their run to the Champions League Final. The 19-year-old hadn't even debuted for the U-21 team when the Premier League season started in August and wasn't a regular in the Liverpool side until the festive season, but after a man-of-the-match performance against Swansea on Dec. 27, Alexander-Arnold earned Jurgen Klopp's trust and became a first-team regular. He followed by earning his first senior cap earlier this month. Alexander-Arnold was able to dislodge an injured Nathaniel Clyne from both the Liverpool starting XI and the English team. Pushing aside Manchester City star Kyle Walker might be a tougher task. Gareth Southgate appears likely to play Walker as part of a three-man central defense unit in Russia, while Walker would remain ahead of Alexander-Arnold as the first-team right-back in a four-man backline. His best chance of impacting a young England side in Russia (barring an injury to Walker) is as a pacey substitute at wing-back. While 22-year-old star winger Hirving Lozano is the young Mexican most likely to turn heads in this World Cup, it's remarkable for a player as young as Alvarez to even force his way onto a World Cup squad. 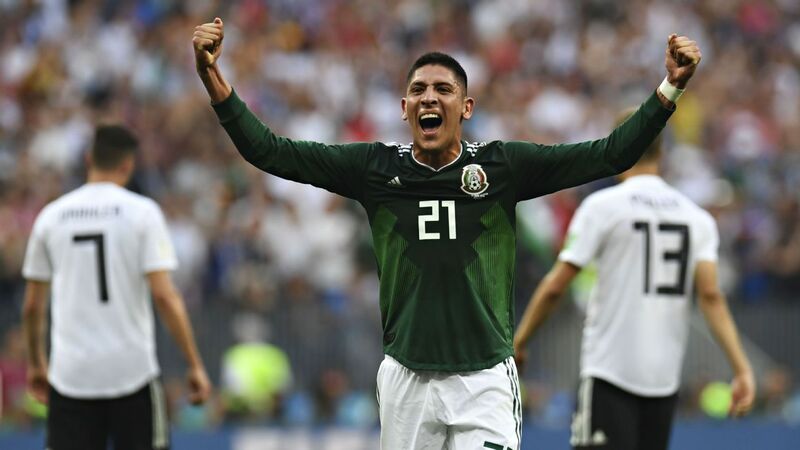 Over the past 40 years, Mexico has sent just three players under the age of 21 to the biggest stage in football. Francisco Javier Cruz nearly scored a winner in the quarterfinals against Germany in 1986, while 2006 saw the debuts of Andres Guardado and Guillermo Ochoa, who have combined for 237 caps since. Both Guardado and Ochoa will be in the Mexican team this summer, though Alvarez's position isn't quite as clear, given that he's lined up as a center-back, right-back, and defensive midfielder in the past for El Tri. No player under the age of 21 has fielded more minutes in Liga MX over the past two seasons than Álvarez's 3,863, and while Alvarez didn't have his best season with Ámerica, it wasn't a surprise that Juan Carlos Osorio turned to the versatile Alvarez as his first substitute during Sunday's remarkable 1-0 win over Germany. A surprise addition to the Saudi side, Al-Khaibari has just four senior caps in friendlies to his name. 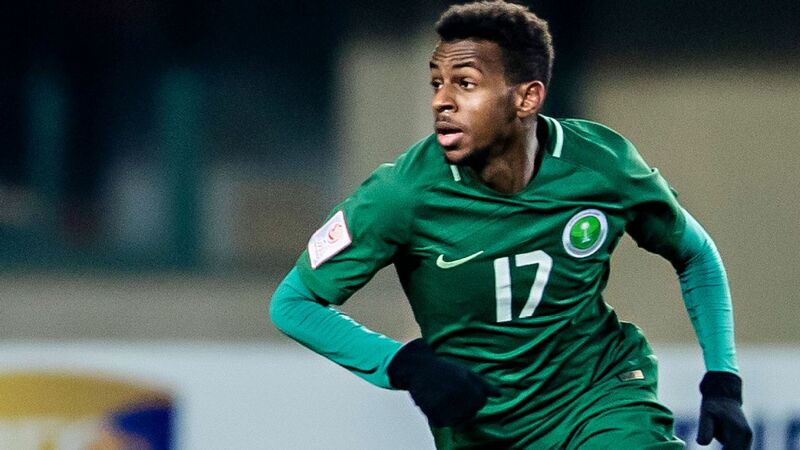 The 21-year-old has started 15 times this season for Al-Shabab in the Saudi Premier League and represented Saudi Arabia at youth levels, but he wasn't included as one of the nine Saudi players sent to play in La Liga this spring before the World Cup. With Robert Lewandowski turning 30 in August, Poland will likely be looking for a striker to emerge alongside the oft-injured Arkadiusz Milik and serve as the future of their national team. Kownacki's presence in the World Cup 23 suggests that he's their current top candidate. The 6-foot-1 Kownacki scored 21 goals over four years for Lech Poznan before moving to Italy last summer. Fabio Quagliarella, 35, kept Kownacki out of the team by scoring 19 goals in Serie A, but Kownacki chipped in with five goals across 811 minutes. He's unlikely to see much time in Russia. One of the many players who developed at feeder club Liefering before making the step up to Salzburg, Hwang scored one of the four goals in the Austrian club's stunning second-leg comeback over Lazio in April. 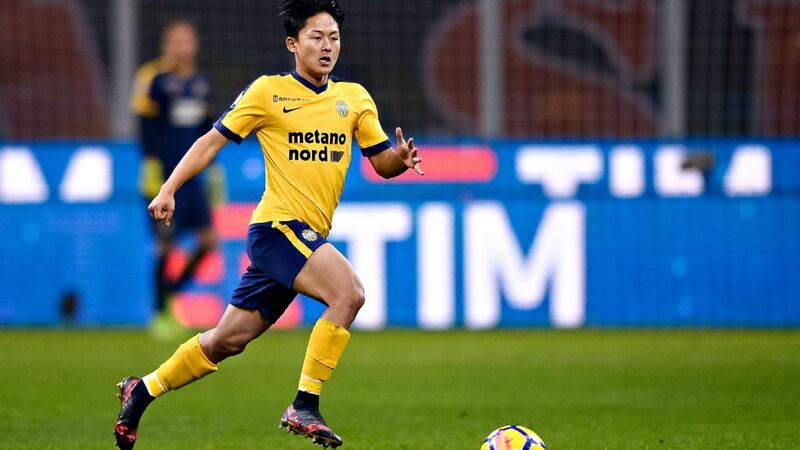 Injuries limited Hwang to 10 starts and five goals in the Austrian Bundesliga this year, although the Korean international scored 12 goals in 20 top-flight appearances the previous year. Hwang could offer some much-needed help in the final third to Tottenham star Son Heung-Min, whom he may soon join at club level, given that Spurs and Borussia Dortmund are reportedly weighing up bids. He started and played the full 90 minutes in Korea's 1-0 loss to Sweden. If you're thinking about moving to Barcelona, it might help to send your resume and get a letter of recommendation from Lionel Messi. The global superstar reportedly wants his "new partner" to look past interest from Europe's leading lights and make a switch to Barca, and his $36 million buyout clause shouldn't stop any major club from adding one of South America's most talented forwards to their roster. Pavon led the Argentine Superliga with 11 assists this season, one year after finishing second in the same category behind Marcos Acuna. The sheer depth of attacking firepower Argentina has in reserve might prevent Pavon from making a dent on the scoresheet in Russia but he could be laying-in-wait as the long-term replacement for Angel di Maria. Indeed, Pavon came on as a substitute for Di Maria during Argentina's 1-1 draw with Iceland. It's been an eventful couple of years for the skillful Sarr, who was playing in Senegal as recently as 2016. The 5-foot-11 winger moved to Metz as an 18-year-old, and while most players in his situation might have spent a year or two in the reserves, Sarr entered the starting lineup at the beginning of September and never looked back. He racked up nearly 2,000 minutes as an 18-year-old in Ligue 1, scoring five goals for a Metz side that only scored 39 times during the season. 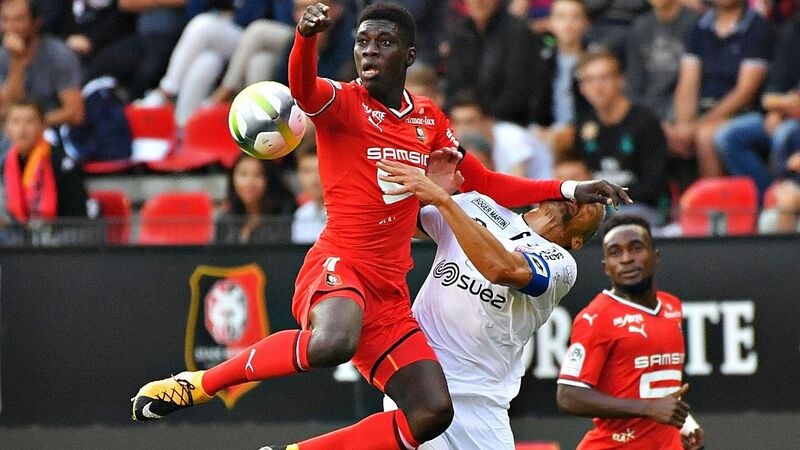 While his success as a teenager was likely overshadowed by Mbappe, his impressive season earned Sarr a £15.5 million move to Rennes, only for Sarr to tear an ankle tendon in September and miss the remainder of 2017. 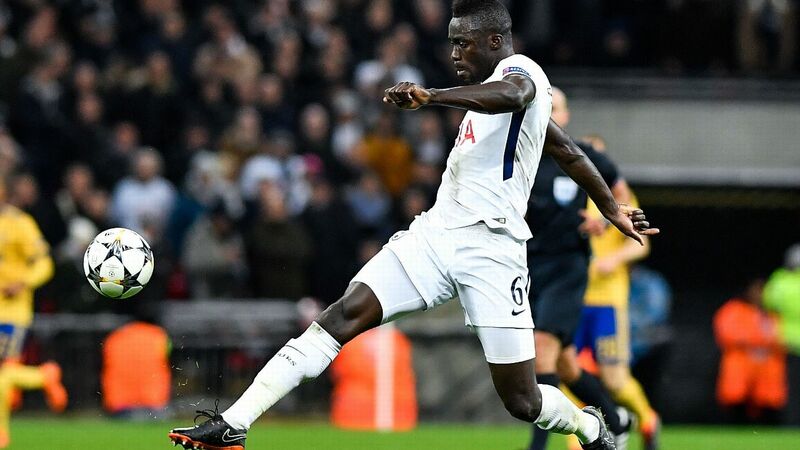 Sarr made it back in January and has been healthy since, although he hasn't made it through 90 minutes in any of Senegal's pre-tournament friendlies. Having only made his debut for the senior team in September of 2016, Sarr only has 11 caps to his name, but his goal in the pretournament draw with Croatia showed how he can impact a languid game with one well-timed run and finish. He'll likely offer support as a substitute for Keita Balde and Sadio Mane in Russia. As the only player in the tournament born in 1999, Australia's Arzani is also the youngest player at this year's World Cup. There was a question of whether new Australia manager Bert van Marwijk might opt for more experienced players and leave Arzani at home, but the A-League Young Footballer of the Year was able to parlay a breakout season for Melbourne City into a trip to Russia. It might not be his last excursion to Europe either, given that the chatter around Arzani compares him to Harry Kewell. The 19-year-old scored his first goal for Australia in a pretournament victory over Hungary, although it was truthfully on a tame effort that should have been stopped. It's probably more telling that Arzani came on and almost immediately launched a shot at the keeper, something a bland Australia team desperately needs. Australia only scored 16 goals in the third round of Asian qualification, needed extra time to score a third goal over two legs and win a playoff with Syria and drew 0-0 at home with Honduras before finally breaking through with a Mile Jedinak hat-trick in San Pedro Sula. A country that relied heavily on goals from the 33-year-old Jedinak and 38-year-old Tim Cahill throughout qualifying needs a young attacking threat to emerge. Arzani scored once against Hungary and helped create a second. 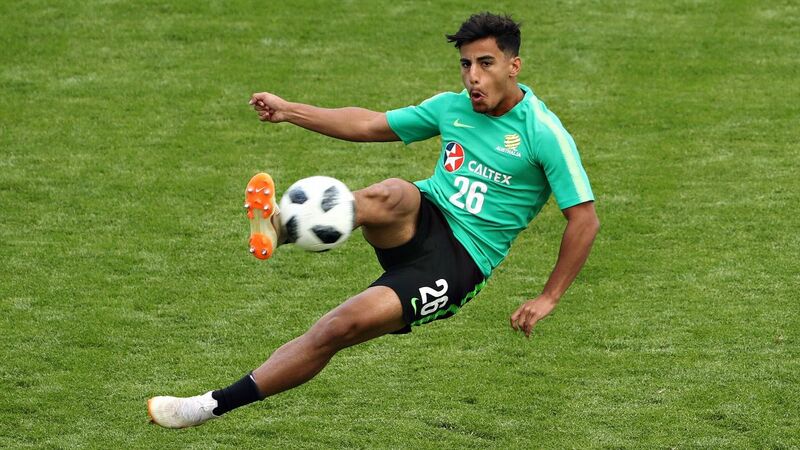 Van Marwijk threw Arzani on in the 84th minute as Australia tried to come back against France, but the exciting young talent may already be more than a roll of the dice. 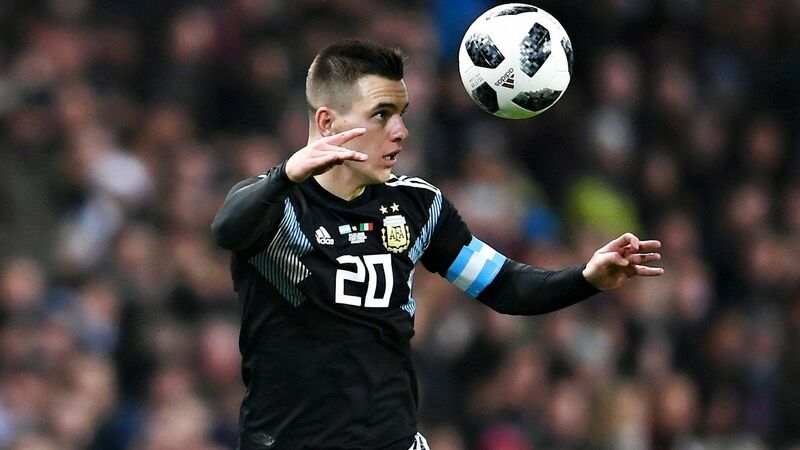 Pavon might be the long-term replacement for Di Maria, but Lo Celso's role with the Argentinian team might not be quite as clear. One thing is for sure, though: He's not going anywhere. Lo Celso is too talented to stay out of the side, as evidenced by the fact that the 22-year-old broke into Unai Emery's PSG side over the 2017-18 season. The question is whether he'll play as more of a deep-lying playmaker for Argentina or serve instead as more of a defensive midfielder to protect the Argentinian back line. Lo Celso was on the bench for Argentina's 1-1 draw with Iceland, but there are already rumors that he'll come into the team at the expense of Lucas Biglia for Thursday's match with Croatia. 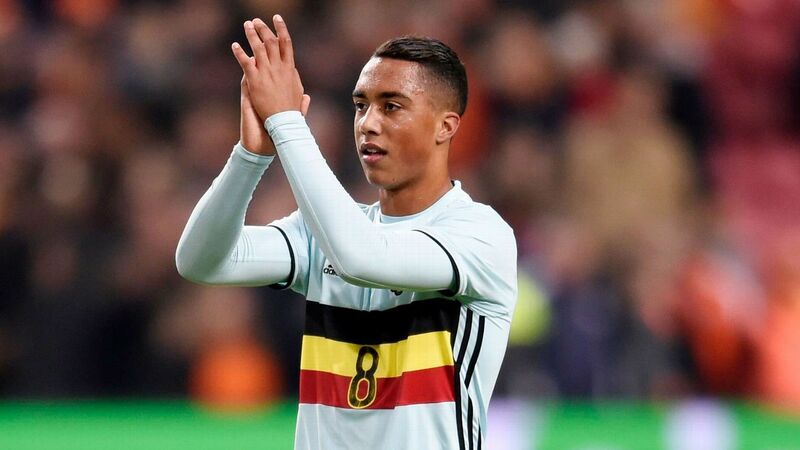 It's little surprise that Monaco turned to Tielemans for stability and as a replacement for Tiemoue Bakayoko in midfield this past season, given that the Anderlecht youth product had already racked up 185 appearances and captained Belgium's biggest club team before moving to France. Tielemans became the first player since Vincent Kompany to win Belgian Young Player of the Year twice in consecutive seasons, and like Kompany, he added a Belgian Player of the Year award to his collection before moving abroad. Tielemans did struggle a bit to find his place in Monaco. He missed seven weeks with a knee injury and played in a rotation, which was obviously unfamiliar for a player who suited up every week for Anderlecht. He might have also been pushed into a more defensive role than his skills suggest, given his ability on the ball. That may prove to limit his role in Russia, given that Belgium hardly lacks for creative midfielders with Eden Hazard and Kevin de Bruyne in the team. Roberto Martinez says Tielemans is the future of the Belgian team. Tielemans, unsurprisingly, thinks he's the present, too. One of the brightest young stars in football, Jesus has scored 20 goals in 2,323 minutes for City during his first two seasons in the Premier League. He's followed that with 10 national team goals in just 1,299 minutes, including seven during South American World Cup qualifying. It seems likely that he'll start ahead of Roberto Firmino, with an already-lengthy injury history the only thing seemingly keeping Jesus from making an immediate impact. 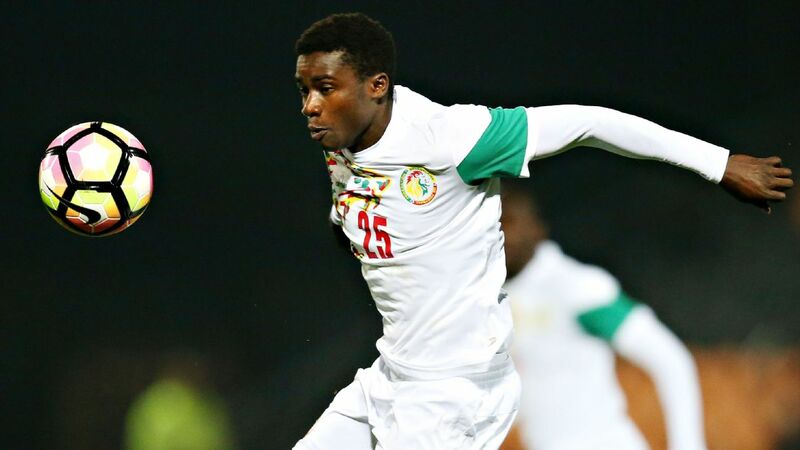 A product of the Aspire Academy's branch in Senegal, Wague moved to the Aspire-owned Eupen two years ago and carved out a starting role this season. He's perhaps more notable for his international work, which includes a run to the semifinals of the U-20 World Cup in 2015 at just 16 years old. 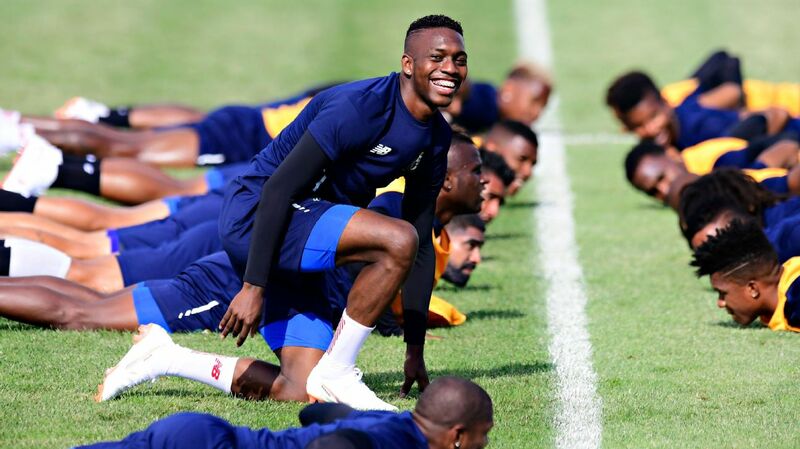 Wague is also the only player from that Senegalese team to make the jump up to the World Cup within three years, having already accrued nine senior caps. It looked like Wague would be the reserve right-back in Russia behind Bordeaux's Youssouf Sabaly, but when Aliou Cisse named his team for the opening match against Portugal, there were spots in the starting XI for both Sabaly and Wague. Not many players make the move from Costa Rica to Sweden, but Smith first went on loan with Hammarby before signing a permanent deal to swap the Costa Rican top flight for Norrköping. Smith featured for Costa Rica in the 2015 U-17 World Cup and again in the 2017 U-20 World Cup, but his most notable work at club level before Sweden came in the 2017 CONCACAF League, where he helped Santos de Guapiles to a runner-up spot. His parents allege that Smith was approached to play for Qatar before deciding to stick with Costa Rica, where he's garnered three senior caps in 2018 as a substitute. Smith is the youngest player in the Costa Rican team by nearly four years and one of just two players under 25. So while he's likely to play a reserve role behind Celtic's Cristian Gamboa this time around, Smith should figure in the side for years to come. Weirdly, the youngest side-adjusted player in the tournament has been on the radar of Korean fans for nearly a decade. Lee has been the great hope of South Korea since age 12, when he joined Barcelona. Four years later, he took MVP honors at the Asian U-16 Championship, declaring that it would be easy to beat Japan before scoring two goals to send them home. Lee followed that by featuring in the 2015 U-17 World Cup and 2017 U-20 World Cup, although he didn't hit the same lofty heights there. Along the way, though, Lee's development stalled, in part because the transfer ban levied against Barcelona kept Lee out of competitive football until he turned 18. With no clear path to the first team in Barcelona, Lee followed the path of many young La Masia products and left the club on a deal that leaves Barcelona the option to buy Lee back if he excels at his new home. Lee found his way to Hellas Verona in Italy but endured another difficult season. He played just 166 minutes through the end of March, serving as an occasional substitute as Verona unsuccessfully battled against relegation. In April and May, though, Fabio Pecchia gave Lee six straight appearances to end the season, and by the final two matches, Lee made an impact. He scored his first goal for Verona with a brilliant first-time volley against Milan. In the following match, given his first start with the club, Lee chipped in with .45 xG (expected goals) and lasted the full 90 minutes. The signs of life were enough to get Lee into the senior national team squad, and while it seemed likely he would be one of the provisional players axed before the final 23, Lee delivered an impressive performance mixing with Son against Honduras, lasting 81 minutes before being substituted. He played 70 minutes in the ensuing friendlies against Bosnia and Herzegovina and Bolivia, suggesting that Shin Tae-Yong sees a role for Lee in Russia. It's difficult to imagine that Lee would have the fitness to repeatedly play 90 minutes for the national team this month, but as a creative foil on the left side of Son, Lee could be a valuable substitute for a Korean team lacking in firepower after their star Tottenham attacker.